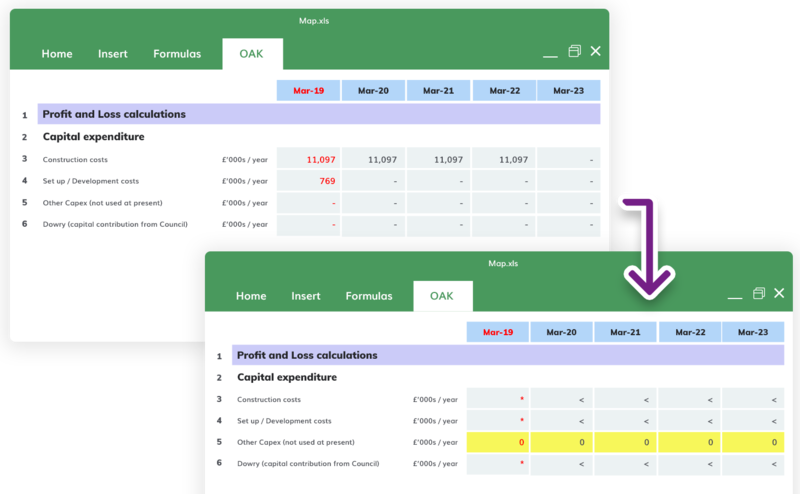 With OAK’s Excel Add-in you can check spreadsheets. Review spreadsheets. And make better decisions. Make the complex comprehensible. 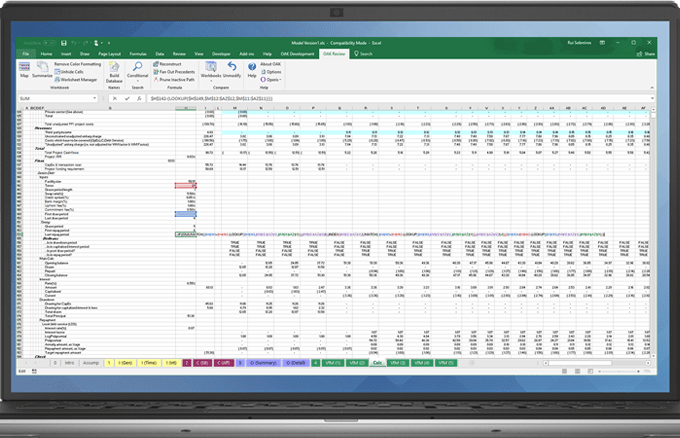 Reduce the risk of missing spreadsheet formula errors. 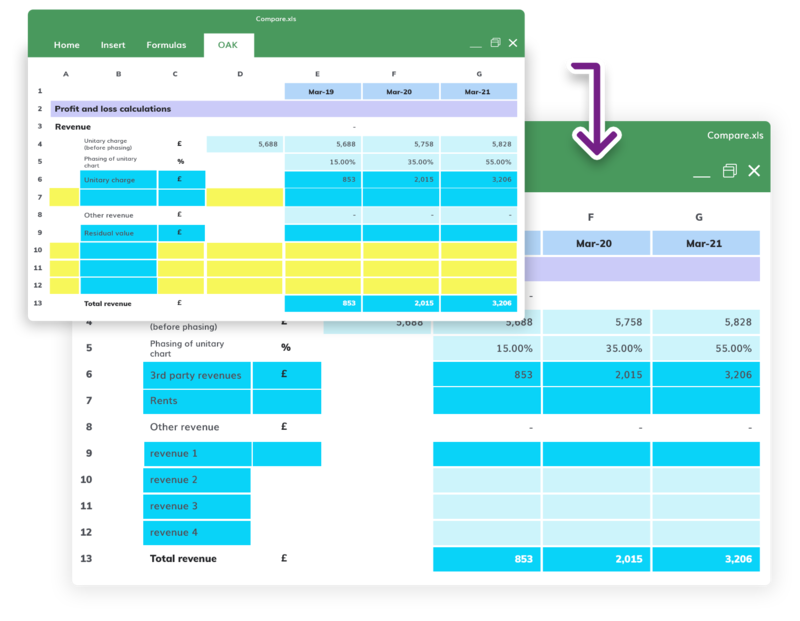 Get a measure of a spreadsheet’s complexity. 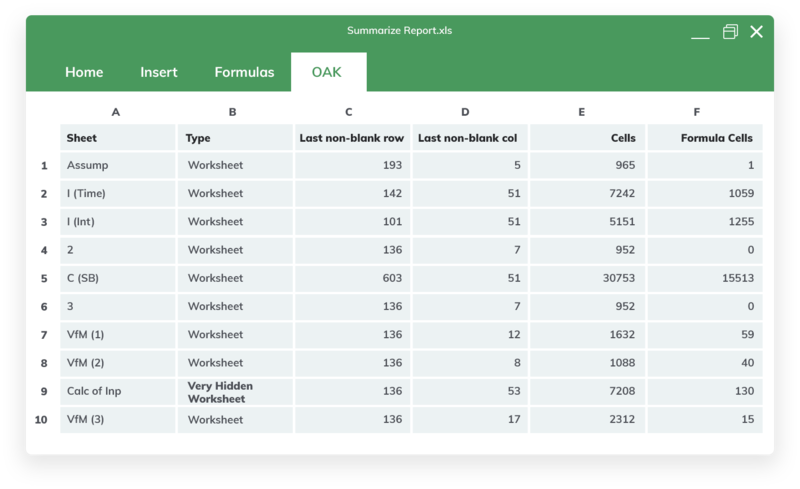 Have a summary of an entire workbook, its layout and formula risk delivered to you in an easy to understand report. Identify discrepancies and their origin in a systematic and structured way. Identify formula inconsistencies and errors. In addition, check to see if a spreadsheet is built according to best modelling practices. Automatically reconstruct a formula in a safe environment to identify all the precedents and dependents down to the inputs level. Reduce risk of error when developing and reviewing complex spreadsheets. Make confident decisions based on spreadsheet information. Get to grips with unfamiliar spreadsheets. Quickly understand the structure and identify potential sources of errors. Be confident figures stack up. Know you can trust the information a spreadsheet contains. Rapidly locate key pieces of information. 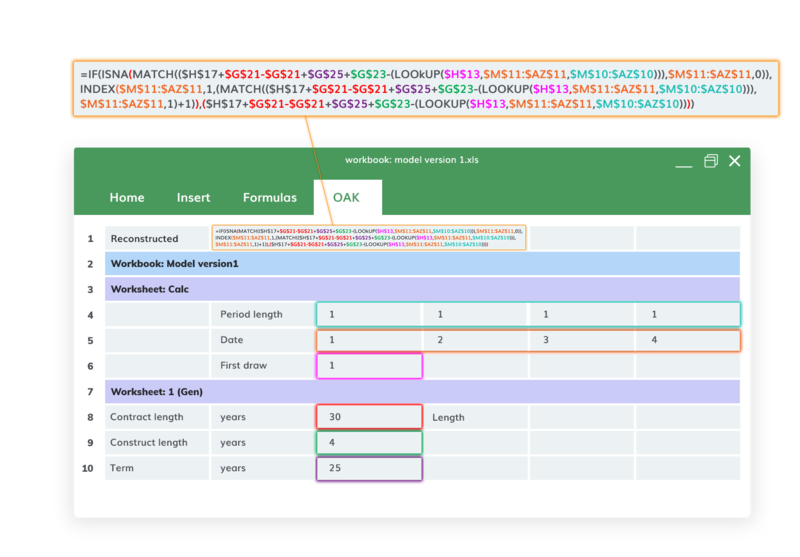 Be confident a spreadsheet structure and formulas adhere to best modelling practices. Get a workbook summary to help you differentiate inputs from calculations and reduce formula risk.